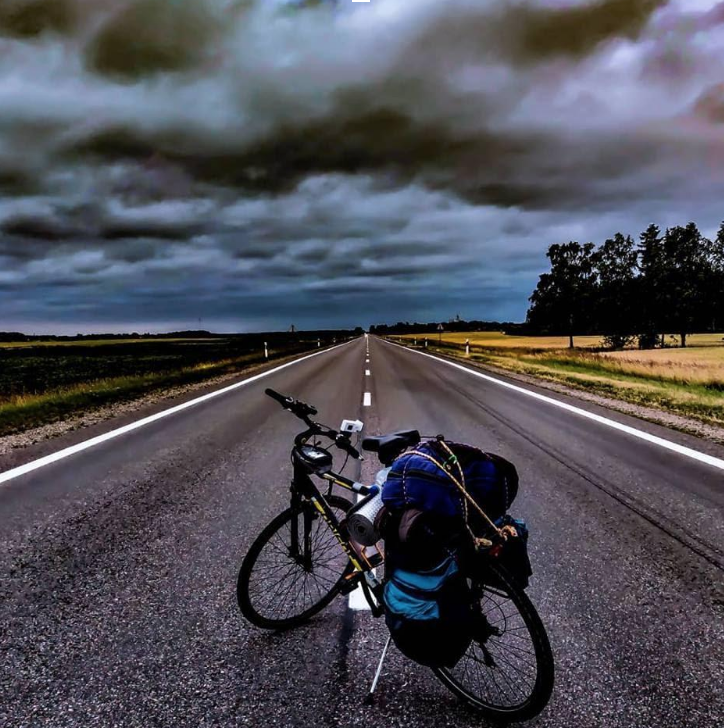 Ride 4 Refugees 2018 is raising money for Omar Alshakal and his NGO, Refugee 4 Refugees. Omar is a Syrian refugee who made the tough journey to Greece. their incredible work.The boys who organized this Ride 4 Refugees call themselves the Atlas Apples. Their journey started at June 26 in Estonia and they will arrive in Turkey in a couple of weeks. Go check out their amazing stories and pictures on their Facebook (https://www.facebook.com/AtlasApples/) and Instagram (https://www.instagram.com/atlasapples/) pages. And please consider a donation on https://chuffed.org/project/ride4refugees2018. Thank you! 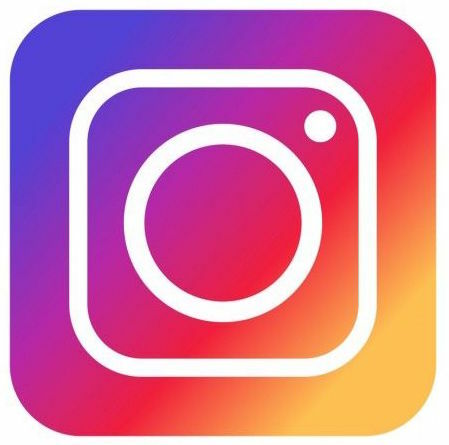 Follow us for all our updates - @refugee4refugees. TRANSIT is a groundbreaking documentary film about powerful and intimate stories of young refugees who risked their lives crossing the Aegean Sea to Europe, only to become stuck on Greece's Lesvos Island with no future and closed borders. it was supposed to be only a "Transit" point for them; but it turned out to be where they are currently trapped. Watch for Omar half way through this amazing film on refugees in Lesvos! Refugee4Refugees has adapted to changes in refugee arrivals and needs as the crisis wears into it's fourth year. R4R has resumed search and rescue activities on the south shore of Lesvos for the summer of 2018. Working closely with other NGOs in Lesvos, R4R is responsible for boat spotting, patrolling, and assisting in boat landings on the shoreline south of Mytilini. We are no longer working from the north shore. R4R will be opening a community centre to better address the needs of the people in Moria, targeted to open in June 2018. Habibi Land Community Centre is intended to support the needs for wellness and a sense of community to the refugees living in Moria camp. The approach taken to the Habibiland Project is gender-sensitive, inclusive, and integrative, with a particular focus on targeting the key demographics of Moria refugee camp. The project will provide gym equipment and facilities for the population of Moria, as well as providing a space for sports (football, volleyball, basketball, etc. ), children’s activities, and yoga/dance. To facilitate the inclusion of historically underprivileged groups (namely women and children), the community centre will also provide womens-only activities, womens-only days, and female trainers to empower women through sport and wellness. Additionally, the project will provide children’s activities to the children of Moria camp, facilitating sports education, empowerment through sport, and teamwork. If you would like to learn more about these projects or donate to assist in their development email refugee4refugees@gmail.com. At midnight R4R Founder Omar Alshakal got a phone call from his friends inside Moria Camp and Aris from Attika Warehouse that there was fighting and a big fire inside Moria Camp. 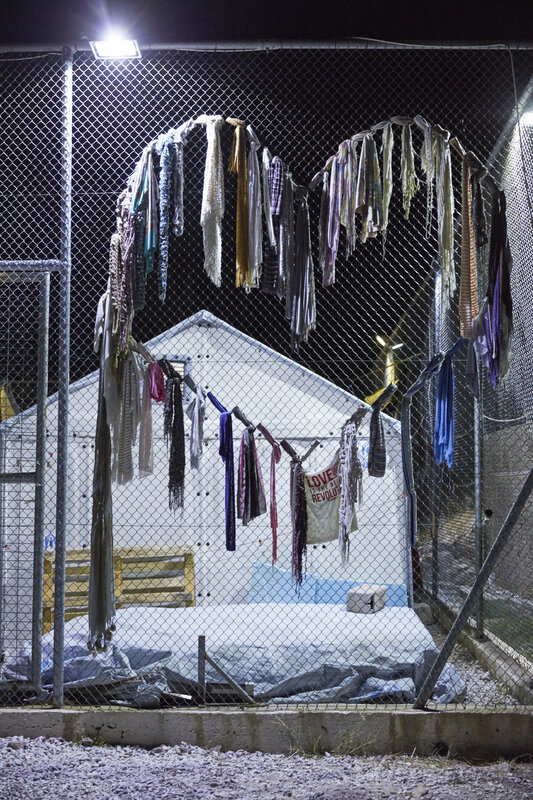 Moria is the largest camp on Lesvos and holds 6000+ people. Omar notified our volunteers on the island and went to help. He arrived to find a lot of people outside the camp, a fire and a lot of confusion as to what was happening inside. There was a lot of emergency personnel, NGO representatives and doctors working outside. 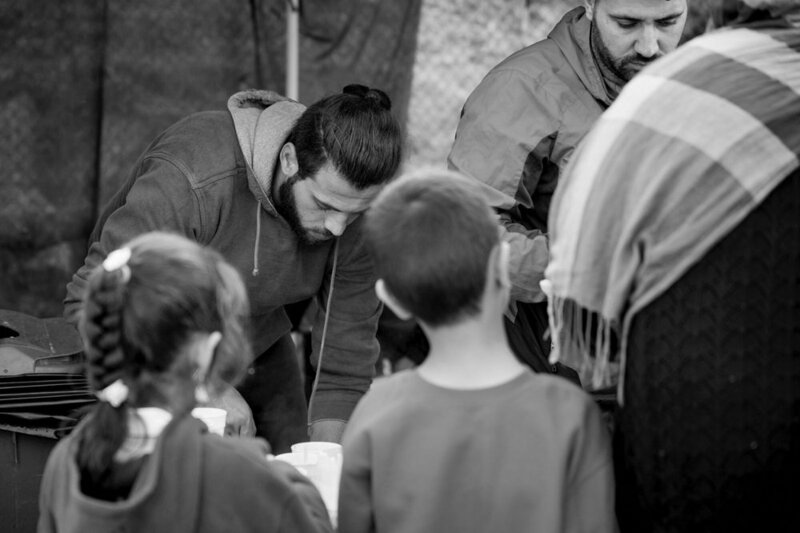 Omar found two people unconscious outside the camp and doctors suggested it was best for him to transport them in his van inside as it would be the safest way to get them into a clinic they run inside the camp walls. It's believed they were unconscious from the fire. 30 minutes later, the UN called Omar and told him 59 people had arrived on the southern coast of the island from Syria and the Democratic Republic of Congo. They asked him to get Stage 2 transit camp ready for their arrival as we would cook for them, get them fluids and look after them for the night. They will be transported to Moria Camp later today. As Omar and our team on the ground works furiously to keep up with the needs on the island we want to take a minute to thank everyone who donates to us and volunteers with us. Unfortunately the last 12 hours are not unusual and your donations make sure we have two vehicles ready with fuel to get there and transport the people when needed. They make sure there is food in Stage 2 ready to be cooked and water ready to rehydrate them when they get rescued from the boats. Netherlands-based Stichting Gelukszoekers or Happiness Seekers Foundation tries to create awareness about social problems in a positive way through creativity. They hope to be able to contribute to a society where everyone can give each other their best, regardless of religion, belief, political opinion, race or gender. We've teamed up this Christmas and they've generously offered to donate 5 euros from each sale on their website to Refugee4Refugees. Have a shop, buy your Christmas presents and support us at the same time! Deal runs from 15 December until 1 January. We have started a new project to fill a warehouse outside Moria Camp with supplies for refugees. At the moment we are focused on getting items that will help to keep refugees warm this winter, but the potential is huge. 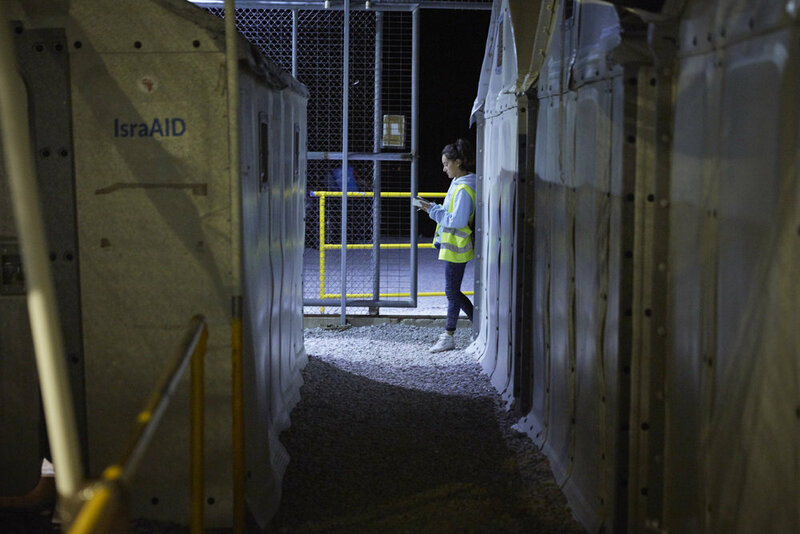 We want to use the space to provide a lot of support through aid direct to the refugees going forward. You can see in our photos we're making great progress with lots of amazing donations from around the world. We only signed the lease one month ago! Refugee4Refugees founder Omar Alshakal spoke to Al Jazeera English after the Syrian government announced it had retaken his home-town of Deir Az Zor from Islamic State. 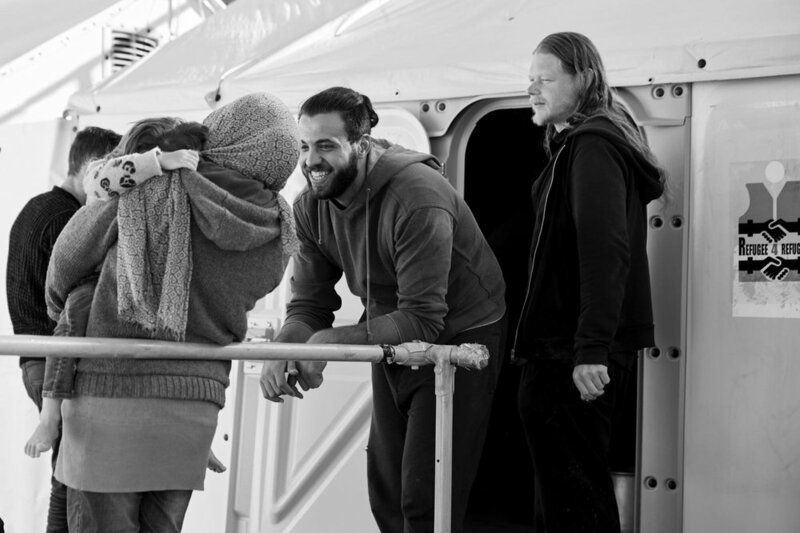 Photographer Laura Lewis has been volunteering on Lesvos and took some photos of Omar and the Refugee4Refugees team working hard in Stage 2 UNHCR Camp. Check out more of her work on Instagram (@photolauralewis), Twitter (@photolauralewis), Facebook (Laura Lewis Photography) and her website (www.lauralewisphotography.co.uk). Kat will be taking on the role from January so we asked her for a few questions so you can get to know her. R4R: Where are you from? KM: I’m from St. John’s, Newfoundland, which is a tiny island on the east coast of Canada! R4R: Where was your last job? KM: My last position was as an English teacher on the Thai-Myanmar border, where I taught high school English to Burmese refugees and migrants. In the afternoons I was a fundraising intern with the Burmese Migrant Workers’ Education Committee, a CBO in Mae Sot, Thailand. R4R: Why did you want to work with Refugee4Refugees? KM: It felt in a lot of ways like it lined up perfectly with my past experience and budding interests. I was a lifeguard throughout high school, and I certainly prefer positions in the field because I’m pretty high energy – but additionally, my time in Thailand has really shaped a passion for further work in migration. When I found R4R on the Omprakash website, I felt strongly that it would be a great match. R4R: If you could have a superpower what would it be? KM: Bringing sunlight wherever I go. No joke. I never miss the cold when I’m travelling. R4R: What’s your phone wallpaper? KM: Right now, it’s a picture of my students and a sticker saying ‘Peace in Burma Now’. R4R: What’s on your bucket list? KM: Is the actualization of world peace a valid answer? R4R: If you could invite anyone to a dinner party who would you invite? KM: I’d love to have a conversation with Antonio Guterres, but no doubt he’d be pretty bored. R4R: Have you met any refugee whose story stuck with you? And what was their story? KM: One of my students was a child soldier in Karen state (in Myanmar). He defected and became a refugee in a camp in Thailand; a lot of my students come from the camps. He was fairly nonchalant (maybe even proud) of his past; nonetheless there was a lot of pain when he explained the ramifications of his actions on his family and loved ones. He described feeling as though he was selfish – how ridiculous! – and listening to his stories was really a defining moment for me. R4R: Why have you been drawn towards the issue of migration? KM: For one, I enjoy puzzles and challenges – and issues of migration are particularly complex, so working on such a multi-faceted puzzle can be satisfying. Pragmatic solutions can be hard to find and even harder to implement, so the fulfilling professional moments can be few and far between. From a more personal perspective, a strong belief in the universality of human rights is also fulfilling, and there’s a lot more satisfaction approaching the problem from a matter of principle, in that respect. 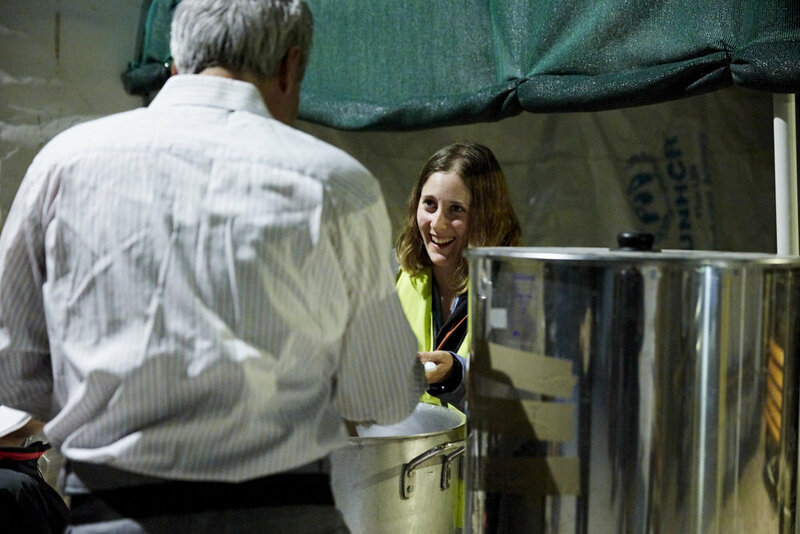 R4R: What would you like to achieve on Lesvos during your time with us? KM: Honestly, my main goals are a) being useful, and b) learning more about the refugee community in Greece.